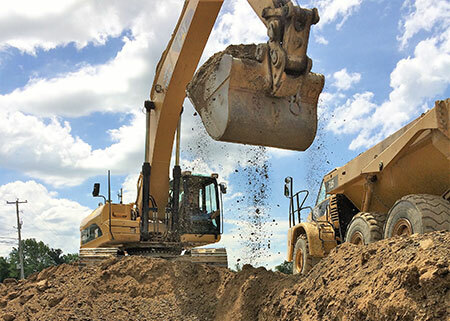 Showman Excavating has a large fleet of earthmoving equipment consisting of scrapers, excavators, dozers, and articulated end dumps that allow us to handle excavation projects of any magnitude. We will work with your team and be by your side from start to finish. Consulting with us early in the design process of your project will allow us to work closely with all involved parties to deliver a product that is appealing and cost-effective.